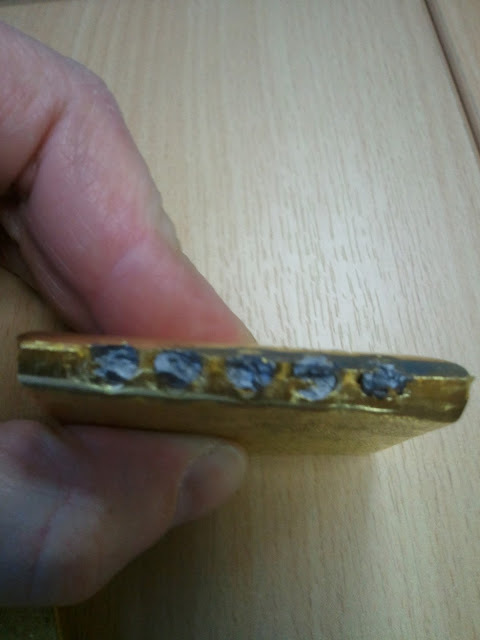 After several years of persistent rumors that the market is full of tungsten filled gold bars, we broke the first photographic confirmation of tungsten filled gold last week in a story that went viral, with over 135,000 views and was reposted by everyone from Zerohedge to Wikileaks' Julian Assange. Apparently the UK's 'gold' supply is running low, as Bloomberg reports the historic re-opening of an English Tungsten mine last active during WW II, aimed at ramping up production of the 'key, strategic commodity' known as tungsten gold. An English mine last used to make armaments to defeat Hitler’s forces will be revived to challenge China’s grip on tungsten, among strategic metals at the heart of a deepening trade dispute with Europe and the U.S.
Wolf Minerals Ltd. (WLF) is developing a tungsten mine in Devon, southwest England, 70 years after it was last extracted there. The Hemerdon site is the world’s fourth-largest deposit and can produce about 3.5 percent of global demand for the metal, used to harden steel in ballistic missiles and in drill bits. China provides about 85 percent of worldwide supplies. Tungsten was one of the metals cited when U.S. President Barack Obama filed a complaint to the World Trade Organization on March 13 against Chinese supply curbs. Tungsten is a “critical” raw material, according to the European Union, and the British Geological Survey places it at the top of its supply-risk list of materials needed to maintain the U.K.’s economy and lifestyle. As to the reasons that tungsten demand is currently so vastly exceeding supply during a global recession, well...we think you know where we're heading with this.